If you are drowning in emails or keep missing important emails, consider hiring a VA to manage your email inbox. Whether the VA responds to emails on your behalf or simply organizes the inbox and tells you which you need to personally address is up to you and your VA. If you have hundreds of emails in your inbox right now, let your VA go through and catalog, organize, unsubscribe, and delete. You will feel better after the task is done. Managing your social media presence can be a very time-consuming task. It is too easy to get sucked into the Facebook or Instagram newsfeed and lose hours of time. Let your VA schedule your posts and shares and watch your social media followings grow. Is your website being backed up regularly? What about your plugins? Are they being updated regularly? 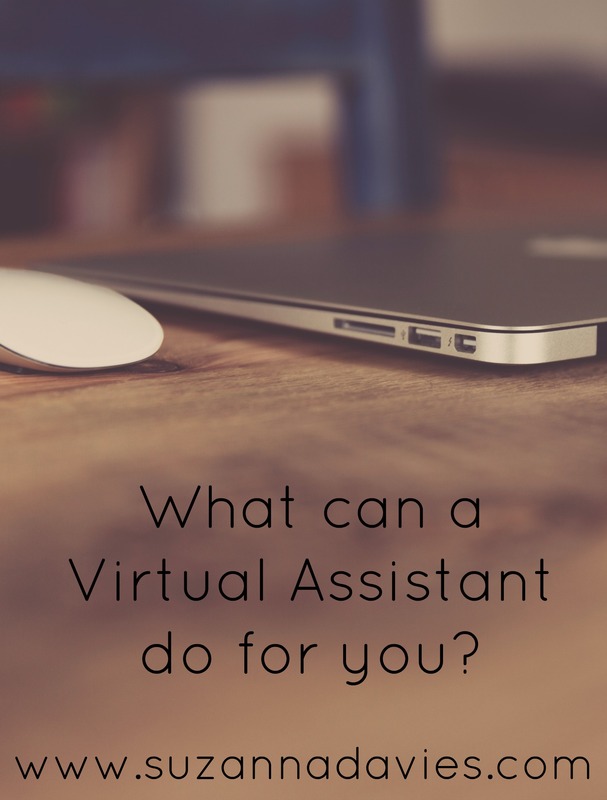 If these small-but-important technology tasks keep getting pushed to the bottom of the to-do list, consider delegating them to your VA. If getting your blog post scheduled takes you longer than writing out the actual content, assign the task to your VA. Your time is better spent crafting your message. Let your VA do the background work of formatting, adding the graphics, and getting the blog post published. You don’t need to invest in Photoshop or spend hours creating graphics for your blog posts. There are two widely-used graphics programs available now – PicMonkey and Canva. Tell your VA what your brand colors and fonts are and have your VA create your graphics. These programs also let you resize the images for optimal social media sharing. If sharing comes easier for you through video or audio, allow your VA to transcribe your podcasts, Facebook lives, YouTube videos, or just audio notes so that the message can be shared more. The information you share in your videos or audios can always be re-purposed into blog posts. Your VA can also write blog posts for you. Give your VA a subject or a title and let the VA do the writing. As you and your VA become more comfortable together, you will be able to let your VA write and publish posts without too much input from you. A good VA will learn to write in your voice and will confidently communicate your message through blog posts. These are just a few of the tasks that a Virtual Assistant can take off of your plate. While none of us get more than 24 hours in a day, delegating the tasks that take you the longest will enable you to get more done each day. When you start interviewing VAs, make sure you know what tasks you want to assign so that you can hire the right VA for the job. How’s a VA paid? Hourly? Flat fee? By task? It depends on the VA and the project! If it’s a specific on-going project (like managing a social media channel) there’s usually a set monthly rate. If it’s a wider variety of tasks or a shorter time span, the VA may work for an hourly rate. As a content and social media manager, growing your audience and increasing your engagement is my mission.